Leo Fender was never a guitarist at all. He was so passionate a radio repairman, however, that he would make a legendary figure of himself for his devotion to coaxing sound from electric devices. His first job in the field was to build some PA systems for a dance hall. Leo had been an accountant. He'd studied accounting in school, not electronics. It was tinkering with and building electric things which produced music he was most passionate about. Perhaps his background in accounting helped to fuel his business ideas. We're all sure glad about whatever the sources for the magic were. Before the ending of the second world war, Leo had made friendly acqaintance with Doc Kauffman. Leo was known for building public address systems, Kauffman for inventing a vibrola system for lap steel guitars. It wouldn't be long before the two had their very own model of lap steel, or 'Hawaiian' guitar for sale. Leo patented his first guitar pickup in 1945, amplifiers and new types of guitars were soon to follow. Music was changing in the late 1940s, and amplified guitar playing was becoming increasingly popular. Folks had been using pickups in arch-top guitars, but fast 'take off lead' playing seemed to require something else, but what? Rickenbacker had created a solid body electric guitar, and put it on the market. Les Paul and Paul Bigsby were both working to create one, but Mr. Fender would beat them all to the punch with his first solid body electric guitar. With a mind towards mass production Leo debuted his Esquire guitar. He had most everything right, but the guitar only had one pickup, and it didn't have any reinforcement in the neck. Leo lived to tinker, and he tinkered on until he got it right with what became the Telecaster. There is no way to know who the first person was to modify their Telecaster, but we all know how guitarist are. Lots of them are persons after Leo Fender's own heart. Surely someone installed a Gibson P-90 in one before long, and probably in the bridge position in order to get a thicker and blusier sound. While the Gibson Les Paul was born an artist series, or signature guitar; the Telecaster was born first. Who can count the great guitarist to play either of them? The Telecaster, being much easier to mass produce, was also less expensive, and more easily modified. In 1957 Seth Lover's magical PAF appeared on the scene. Many a telemaster wanted one of those installed in their guitar. 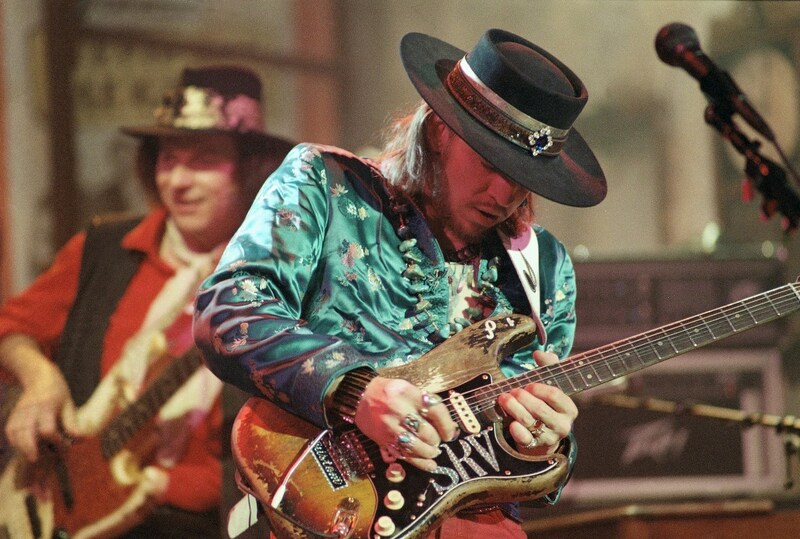 By 1969 the thinline semi-hollow body teles were being made. 1972 saw the debut of the Telecaster Deluxe and its two humbucker design. If the Telecaster were a music form, it would be jazz improvisation. The theme has been improvised over so wonderfully, and in so many different ways, you get a real idea how much is possible. Each of the Telecaster artist series guitars discussed here is very different from every other one, and they are listed in order from least to most expensive. With the body of a Telecaster, the neck of a Stratocaster, the two humbuckers and control layout of a Les Paul, the Chris Shiflett Telecaster Deluxe seems like a guitar with an identity problem. The truth, however, is this is a guitar modeled after Fender Tele styles of the early 1970s. It sure has a lot to offer, and at a terrific price too. I've a friend who has one of these guitars. He's got a band, and he always sounds and looks terrific with it. I don't see too many of these guitars online or out and about. If you are one of those who just has to have something which isn't seen everywhere, well, this could do the trick; but the truth of the matter is its rarity is the least of the selling points. I played one of these guitars this year in a guitar store. I've always been a fan of guitars built in other nations simply because I love guitars. This Telecaster is made in Mexico, and the Mexican production of Fender is like a gift from the almighty when you're a poor boy such as I. These Mexican Fender guitars are such great guitars for the money you spend for them. I believe we have Eric Clapton to thank for the idea of putting a strat neck on a tele. He was playing a guitar just so in the short lived, but long loved group, Blind Faith. Chris Shiflett, of course, is the guitarist for the Foo Fighters. When Chris isn't fighting off foo, he's playing country music. So throw that notion you need the single coil sound for country sounds right on out the window. I can't say adequately enough how good this guitar is for the seven hundred bucks you pay for one. You can find other guitars as good as this for that amount of money, you just won't find a new one better for that amount. The people at Fender love us all. Can you even believe they provide a hard shell case for this guitar at under a thousand bucks? Gibson and lots of others simply will not do this for you. 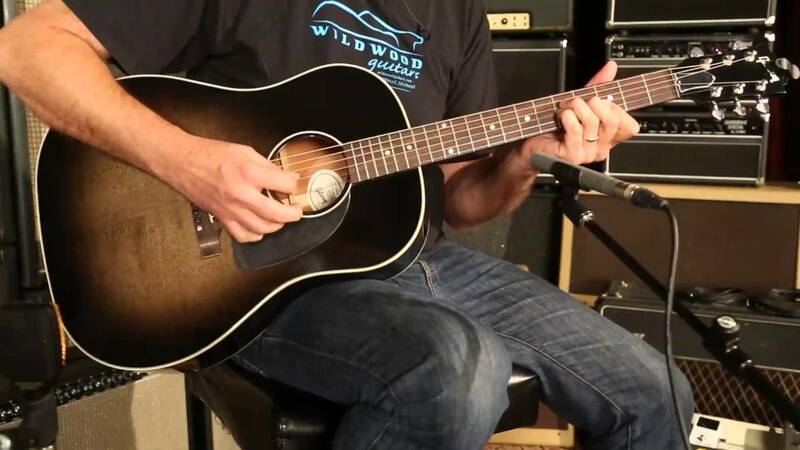 The Jim Adkins JA-90 is a guitar with a combination of features which are uncommon on a tele, or any Fender product. There are lots of Gibson design elements present here. 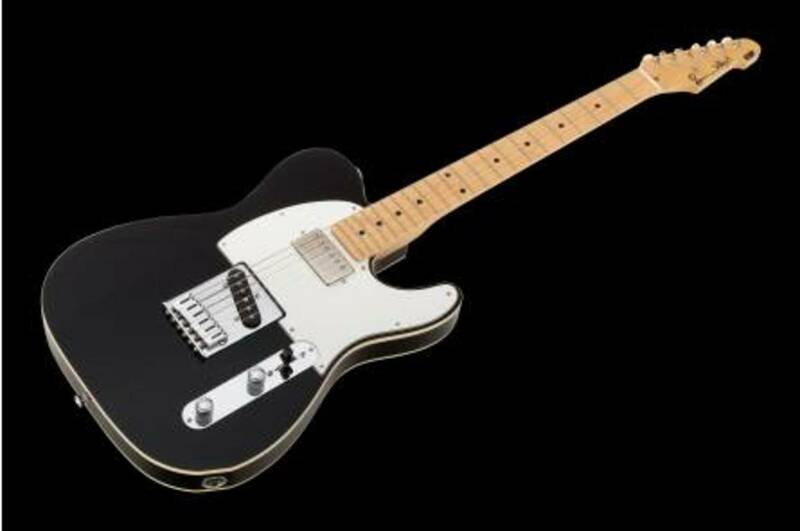 This is more of a crossover sort of tele than even the Chris Shiflett, or others modeled after the '72 Deluxe Telecaster. Jim Adkins is primarily known as the singer, songwriter, and lead guitarist for the band Jimmy Eat World. He's also got a solo thing going. He's an interesting guy, and so he's got a very interesting artist series Fender Telecaster. This Jim Adkins model has the Les Paul style control layout, two P-90 pickups, and then goes one further by having a Tune-O-Matic style bridge with a Stopbar style tailpiece. It is not especially common for a Fender product to have Gibson style bridges and tailpieces. 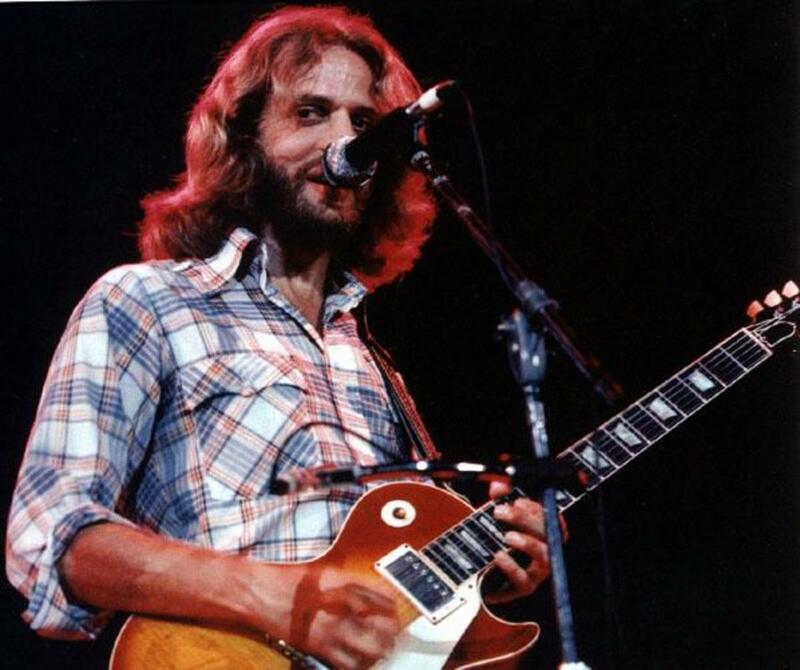 In what seems an effort to be even more Gibson-like, Adkins wanted and got a mahogany neck on his guitar. More than any and all of that combined, one must note this guitar has a Gibson 24.75" scale length, and that is a tonal game changer. Gibson created the P-90 pickups in 1946. You read that right. It's a truly old, tried and true style of pickup. These are Seymour Duncan brand pups. Fender does make their own P-90s, but you won't hear many complaints in the world of guitars and guitarist concerning Seymour Duncan's fine pickups. The P-90 pup will in no way emulate the sound of a common Fender Telecaster. These pickups will produce a gritty, dirty, mid-range crunch and growl. They'll excel with the amplifier gain cranked up. They will never be overly bright. The body here is of tele traditional ash, but the body is a semi-hollow construction. Fender calls their semi-hollow bodies 'thinlines.' Such a body will always add warmth to the tonal character. This guitar is a Telecaster which does not want to look, feel, or sound like its brothers and sisters. We've a great bargain here for around eight hundred and twenty five dollars. You'd have something which would likely be unlike what your guitar playing friends play. A unique look, feel, and sound to be had. Jim Root is like the poster child for the guy who loves the way Fender guitars look, and adores the way they feel in his hands, but absolutely does not want them to sound like what a Fender traditionally sound like. Hey, that's all well and good. The people at Fender obviously understand. Jim Root is the guitarist for two bands, Slipknot, and Stone Sour. 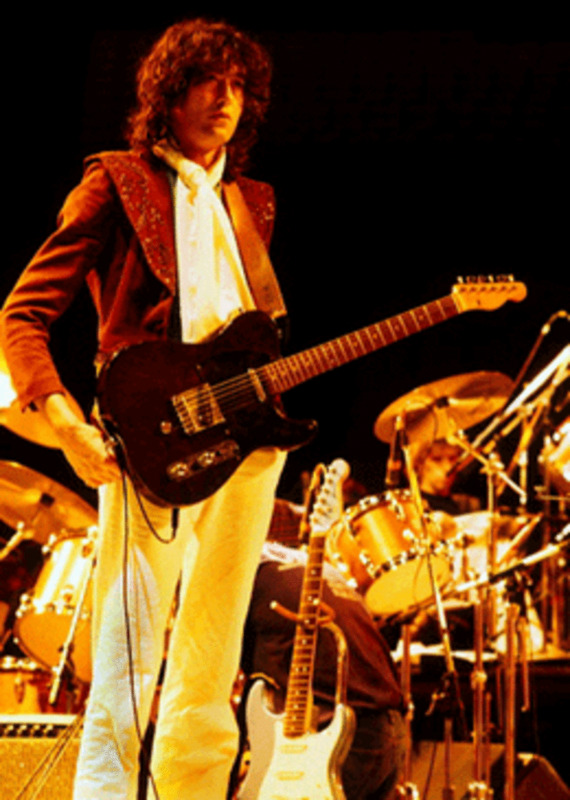 The bands are siblings to one another, after a fashion, but Jim always plays one of his Fender guitars designed for him. For the most part one thinks of these as the tele you use for the extreme crunch of thrash metal, but the clean tones are still quite clean, they will just never be tele twangy. EMG pickups are the most optimum brand for thrash these days, and those are what are used here. The body is all mahogany, and there are contours on the backside for comfort and to assist with access to the uppermost frets. Mahogany as a tonewood on electric guitars is something thought to be balanced, but with plenty of grind and bite. Well, add EMG pickups and you'll get captain crunch in the mix. This guitar is available with a one piece maple neck, meaning the fretboard is also maple, but only if you get the satin ebony finish too. The neck is maple regardless of whether you want a maple fingerboard or an ebony board. A maple board may provide more brightness for the tone than the ebony board. Jim Root has little use for a tone control on his guitar. The amplifiers all have those regardless. You get one volume control, and the pickup selector switch. Keep it simple, stupid. I especially love this specific model of Fender Telecaster. I love to talk about this guitar. I love to write about this guitar. Heck, I just like thinking about this guitar. I fantasize about owning this specific model of Telecaster. Richie Kotzen is a great guy. Richie Kotzen is a cool guitarist. My affection and desire for his model of Tele has nothing at all to do with him, however, it's just the guitar itself. 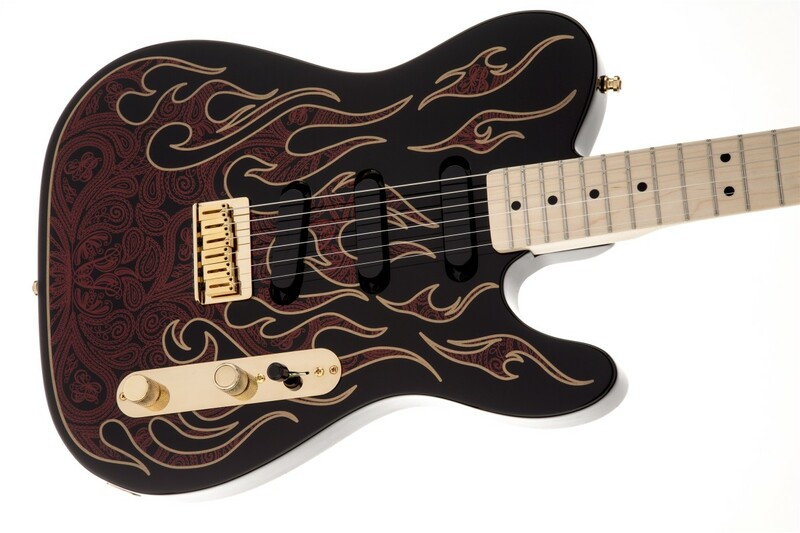 The Kotzen Tele just kinda turns me on. This is a Telecaster with a maple top on it. Whether or not the maple affects the tonal character, or not, is not something I'm certain of, but it does look fabulous. This Tele's looks are a major factor in my adoration and longing, but there is more to it all too. The pickups and wiring scheme allow for this guitar to emulate traditional Telecaster twang, but also to produce much fatter sounds. Kotzen will tell you plainly he can make this guitar sound like a Les Paul. DiMarzio pickups have a longstanding good reputation. Richie prefers them, as do many another great guitarist. The wiring scheme for the two DiMarzio pickups, and the design of the pickups themselves are what allow for this guitar to have such a wide tonal array for you to paint your musical pictures with. The series and parallel switch, of course, is the magic of which I speak. The neck of this guitar is a fat 'C' shape. Richie Kotzen has large hands and long fingers. A body needs to know for certain how it feels about necks. The idea is you'll spend countless hours with a hand around that neck. Know your necks, is the idea. There is a comfort contour on the body here. Most teles are slab bodies, but if you're not overly aligned with tradition, this could well be more comfortable to hold and play. The Richie Kotzen guitar is also made in Japan. Fender routinely manufactures models in Japan, and some prefer those to American or Mexican models. With the maple top, the gold hardware, the sunburst finish and upscale pickups, additional body routing, and electronics; this guitar isn't cheap. For around fifteen hundred bucks you get a tele that has amazing good looks, and lots of tonal versatility. James Burton took up the guitar in early childhood, and was getting paid to play by the time he was thirteen years old. Still a teen when he joined Ricky Nelson's band, James would play on almost every one of Nelson's records. James was just getting started. He turned down an offer to play for Bob Dylan so that he could instead play for Elvis Presley. He'd be the guitarist for the King from 1969 until Presley's death. From there he'd take up with the golden voice of John Denver, and also record some extremely tasteful country licks for Gram Parsons. The list of notable persons Burton recorded with is exceedingly long, but one doesn't omit the mention of persons like Merle Haggard or Jerry Lee Lewis. The Fender Telecaster has always been the primary guitar for James Burton. His parents bought him a classic blond blackguard Tele in 1952. While playing for Elvis Presley he acquired a second Telecaster. The second one was a pink paisley model, and he worried Elvis may not like the looks of it. Elvis instead loved its looks, and so it became the guitar which since 1991 the James Burton model Tele was designed after. It would seem a strat style pickup configuration on a tele was something bound to happen. It is altogether predictable someone would prefer the tele's body and neck, but the three single coil pickup design of the strat. It is important to know here, however, the three single coil pickups on the James Burton Telecaster are not Stratocaster pickups. 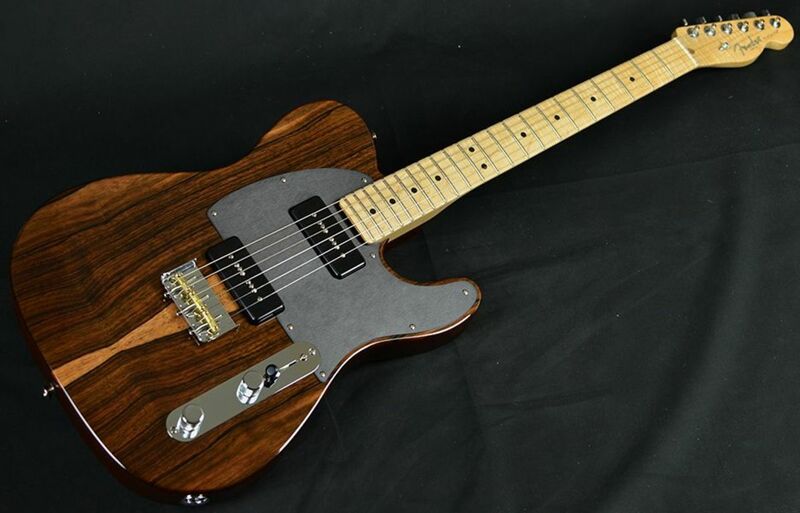 Burton model Telecasters have existed since 1991. If you imagine there have been multiple versions over the years, then you imagined right. Originally the pickups were Lace Sensor pups, but today's Burton tele features pickups designed specifically for James Burton. The body of this guitar is basswood. basswood is abundant and inexpensive, supply and demand, you know. One of the properties of this wood which one may find advantageous is it is very lightweight. If standing and playing for hours is your thing, then a basswood body guitar could be something which brings you comfort and joy. Basswood is also thought to bring out a strong mid-range tonal character, and to shine especially with the use of lots of gain. In earlier years the Burton tele came in a paisley finish. Nowadays the flame finish is how they are done, but there are more varieties of color available than the one I have shown. There is also a blue paisley flame finish available. The pickup selector switch provides the five way selection a Stratocaster provides. Here, however, we also have the S-1 switch. The S-1 switch allows you to play either the bridge and middle pups in parallel, or the neck and middle pup in parallel. There is much beauty, never ending cool factor, and a wide tonal palate to be had here!